After more than half a century working with stakeholders in regional Australia, CQUniversity is now a renowned research institution in several key disciplines and the benchmark leader for how universities should engage and collaborate with communities and industry. Our applied research focus is oriented towards real-world outcomes, with the purpose of providing solutions to challenges and identifying new opportunities for advancement in our regions and beyond. 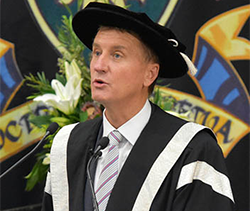 In 2018, this research focus saw CQUniversity achieve Excellence in Research Australia (ERA) results of ‘at’, ‘above’ or ‘well above’ world standard in 22 categories of research including including Mathematics, Psychology, Nursing, Agriculture & VET Science, Horticultural Production, Environmental Science, Biological Science, Zoology, Engineering, Medical & Health Science, Human Movement and Sports Science, Information and Computing Sciences, Artificial Intelligence, Public Health & Health Services and Specialist Studies in Education. CQUniversity's research focus and engaged research agenda are already making positive impacts on individuals, communities and industries across the world. In coming years, this impact will continue to grow, expanding into new focus areas and transforming the way we think about current challenges. The University's research impact is apparent in improved industry processes, regional and economic development, business improvement, productivity and innovation, social advancement and equity and healthier communities. CQUniversity's research agenda is built around deep engagement with communities, industries and government. The focus is firmly on the delivery of research that is primarily relevant to the Northern Australia region. To deliver great research that is meaningful and relevant, researchers work directly with stakeholders to identify challenges and deliver solutions. The end user is involved throughout the entire research project. This approach ensures CQUniversity's research delivers direct benefit and long-lasting impact. CQUniversity is officially recognised as Australia's only Changemaker Campus by global social innovation group Ashoka U. CQUniversity achieved this reputation because of its strong engagement agenda and inclusive approach to the delivery of research, education and training. Social innovation is about working with communities in a collaborative way, using a range of strategies, to find innovative and sustainable solutions to social needs or problems. Ultimately, the philosophy is driven by the simple need to improve lives and create positive change within the world around us. At CQUniversity, social innovation is at the core of our strategic vision and for many years has been entrenched in our core values. This approach sets CQUniversity's research apart, as it means end users are involved in the research process, and research success is measured by the visible impact it is having on the communities and industries we seek to help. The research conducted at CQUniversity helps to guide the design and delivery of learning and teaching. 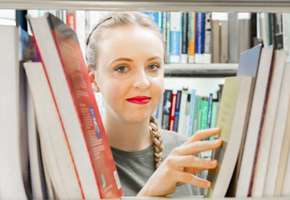 CQUniversity strives to achieve a connected approach to research, learning and teaching, believing that 'real-world' research impacts not only the community it operates in, but so too a student's experience across disciplines. This is evident in the way academics draw on their personal research in designing and teaching courses, where their research informs learning activities and academic discussion on contemporary issues. Research tasks are also embedded in many undergraduate coursework programs, providing students with opportunities to grow their understanding through knowledge creation. High achieving undergraduate students also have the opportunity to work closely with discipline research leads through programs such as the Rising Stars program. Overview of the Excellence in Research results rating research at CQUniversity as at/above/well above world standard. Find out more about the impact research at CQUniversity has and read through a selection of our success stories. CQUniversity's research strengths includes being highly focused on the relevance to the Central Queensland region. 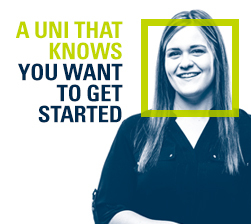 Explore your options for a research degree and how a research degree can take you further with CQUniversity. 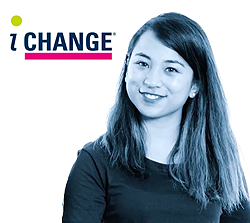 Discover the stories of world-class researchers and students involved in CQUniversity’s Research Higher Degree programs.